I first came across mindfulness when I was pregnant with my second son. I found being a parent to a toddler unbearably hard and I didn't enjoy being pregnant either. Mindfulness helped me to cope, which has inspired me to teach and help others. 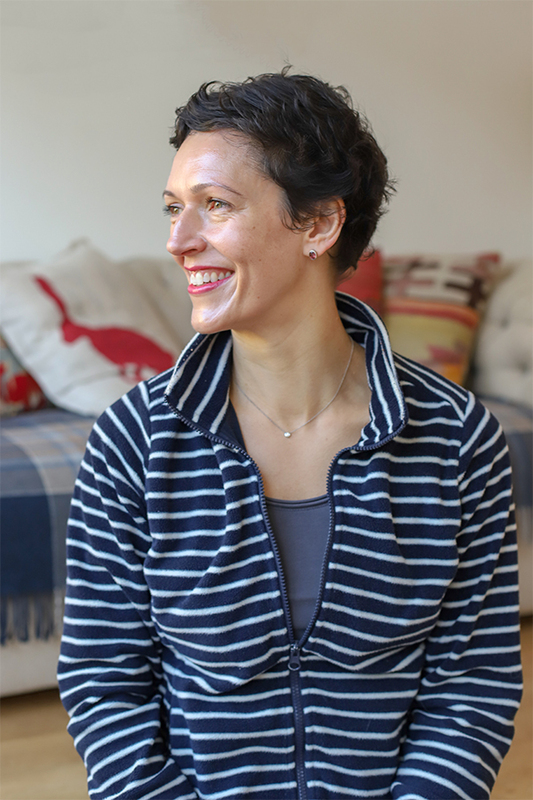 I trained to teach Mindfulness-Based Childbirth and Parenting (MBCP) at the Oxford Mindfulness Centre and am now listed as a mindfulness teacher that meets UK Good Practice Guidance: UK Teachers Network Listing. I'm also a qualified Janet Balaskas Active Birth Workshop teacher and a Birthlight antenatal yoga teacher. I weave a lot of Active Birth material and Birthlight yoga into my mindfulness teaching. My husband, Tom, and I now have three sons. We live in Summertown, Oxford.